Gorgeous, isn’t it? 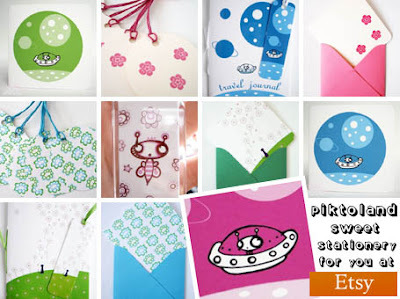 Piktoland is an Etsy shop that specialises in creating cute and colourful stationery. And with everything from note cards and gift tags to bookmarks and notebooks it really is a one stop shop for all your stationery needs. So much so in fact, that the only thing you’ll have to worry about is finding enough friends to send all these gorgeous goodies to! Enjoy!